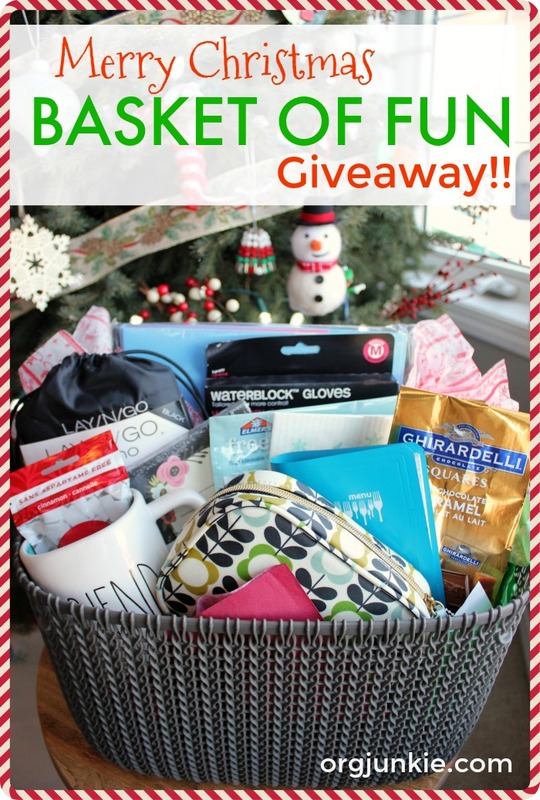 Merry Christmas Basket of Fun Giveaway! Hey friends, welcome to my annual “I love my readers” Merry Christmas Basket of Fun giveaway!! 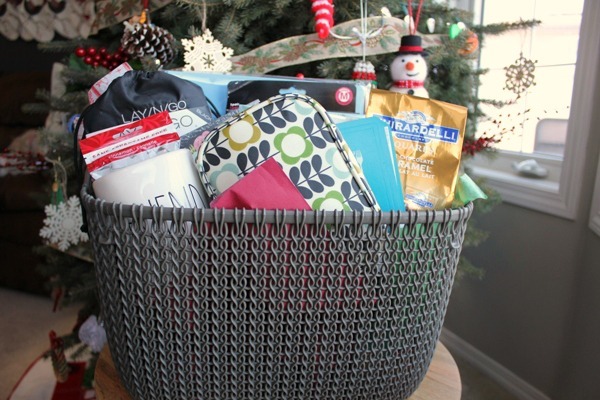 All year long I’ve been collecting things in a pretty basket to giveaway to one of you. These are some of my favorite things and I’m hoping you love them too. Thank you for continuing to be readers of my site, I really do appreciate your support! Please know that these are all products purchased by me and this post is not sponsored in any way. I will try and let you know where I got everything and in some cases may use my affiliate link to direct you. This just means that should you make a purchase using one of my links I may receive a small commission at no extra cost to you. 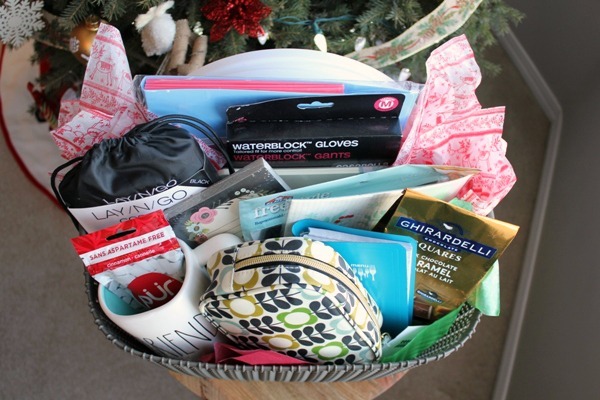 Okay so let’s take a look at all the fun things I’ve included and at the end you’ll find the Rafflecopter form to enter your name to win this awesome Merry Christmas Basket of Fun! 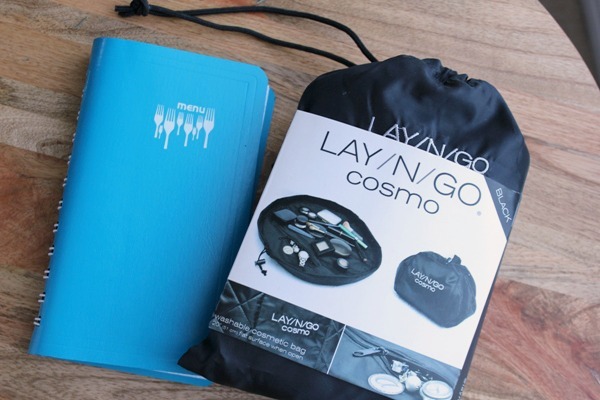 First up is this Lay N Go cosmetic mat. You open it out flat when putting on your makeup and then cinch it up when done and tuck it away. Also included is this great menu planner to help track what you’ll be eating each week. I purchased this at Walmart awhile ago so I’m not sure if it’s still available. 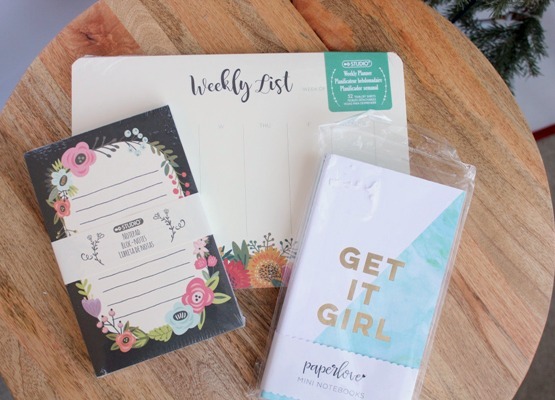 You’ll also get a set of note pads to help you get it all done! 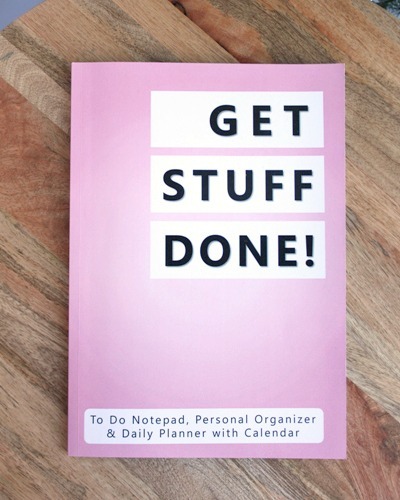 Another tool to help you get things done is an actual planner. This one I purchased off Amazon HERE. It’s a great planner that isn’t too big or heavy and it’s un-dated so you can start any time you want. I’m also including my favorite cleaning gloves. They are comfortable and keep water out. And speaking of cleaning, have you ever tried these dish cloths? They are absolutely fantastic! They don’t get stinky which makes me happy. 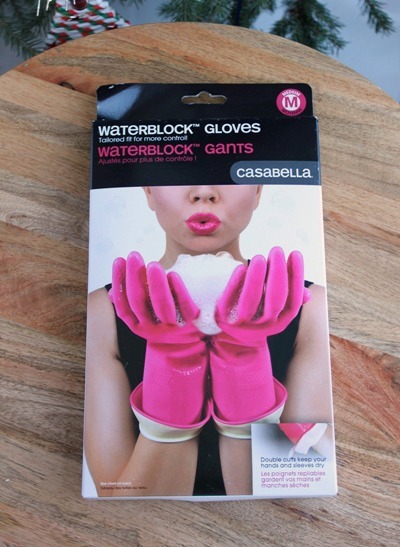 I get them from a little kitchen boutique and haven’t found them online to buy. 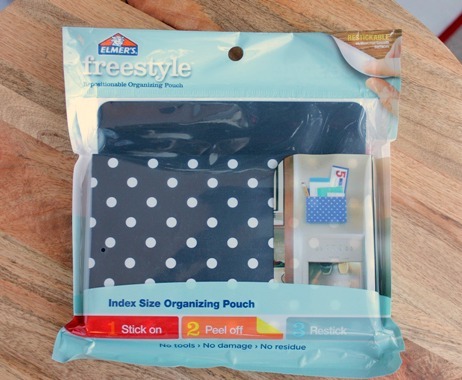 Now if you’d like to get your purse organized, you’ll need a pouch to do it (see THIS POST for help on how). 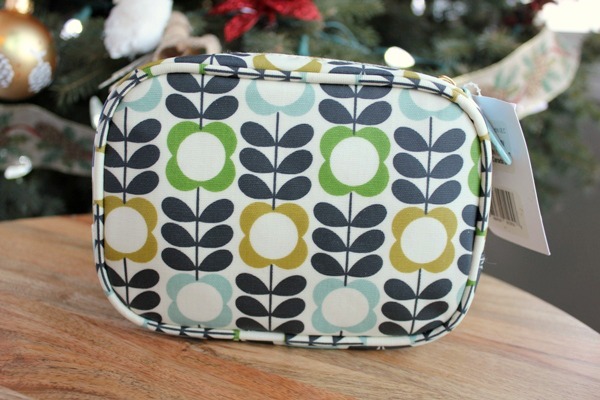 This Orla Kiely pouch is one of my favorites because of its great size and fun pattern. This item has an adhesive backing so you use it anywhere to hold bits of paper that you need to reference. 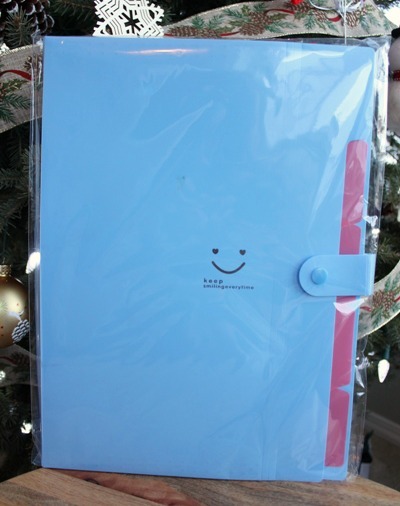 This expanding file folder pockets organizer is the cutest thing. I have one and it really does make me smile every time I use it. Perfect for organizing your vacation documents or any other projects you have going on. Comes in many different colors. More information on how I plan my vacations HERE. 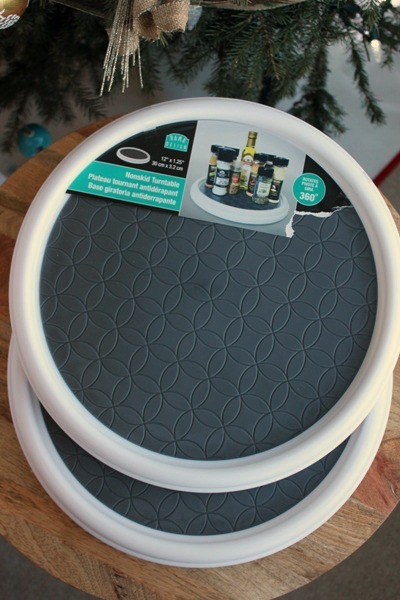 Every kitchen needs a turntable and I’ve got a set of TWO for you! Perfect for organizing spices, bottles of oil, baking supplies, etc. Check out my post on how I use turntables in my kitchen HERE. I also just had to add a set of my favorite pens from BIC. I picked these up at Walmart. What would a gift basket be without chocolate? Hello! Plus my favorite gum, a Christmas Yankee Candle and a fun set of Pioneer Woman measuring cup bowls. 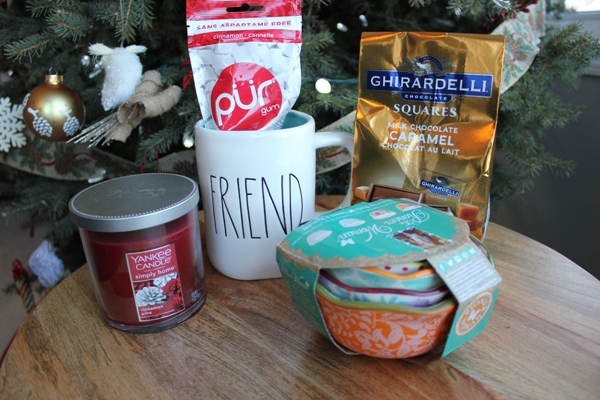 This gift basket also includes this pretty Rae Dunn friend mug. 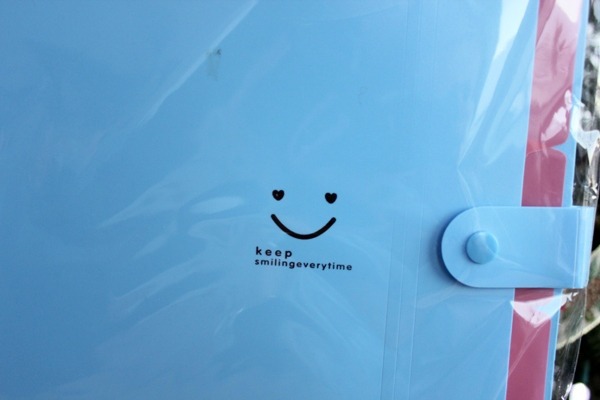 I’m loving the blue inside, so sweet! 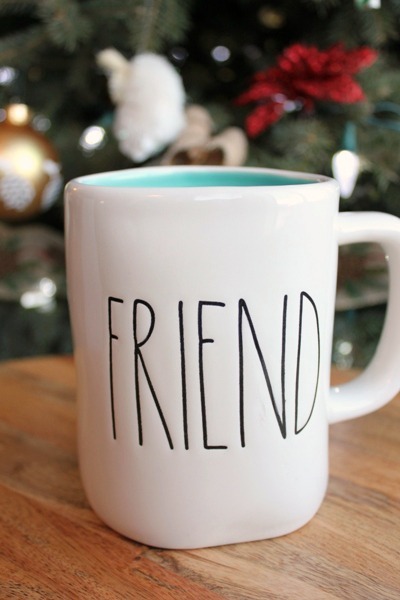 I really wanted to keep this mug for myself but I’ve always said the best gifts for others are the ones you want to keep 🙂 I can’t wait for one of you to get to enjoy it, yay!! And finally you’ll also get to organize to your heart’s content with this awesome basket. So many possibilities! Use it in any closet or in your living room for toys or for crafts or for games. You name it! To enter to win this lovely basket of fun all you have to do is fill in the Rafflecopter form below. Giveaway open to everyone. As always only the first entry task is mandatory and all the rest after that are pure bonus for you (no comment necessary but of course they are always welcome!). Giveaway ends, Friday, December 15th at 4:00 pm MT. Good luck! Please keep in mind that sometimes the Rafflecopter form takes a minute to load so if you don’t see it right away, please be patient. Thanks! 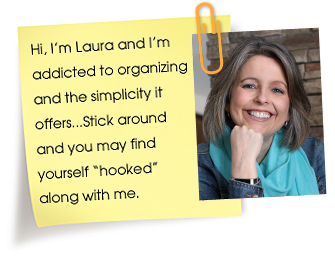 If you are new here and would love to dig into some juicy organizing goodness here’s a GOOD PLACE TO START and be sure to SUBSCRIBE so you don’t miss a post. Good luck and Merry Christmas everyone! Looking for gift ideas that won’t break the bank? 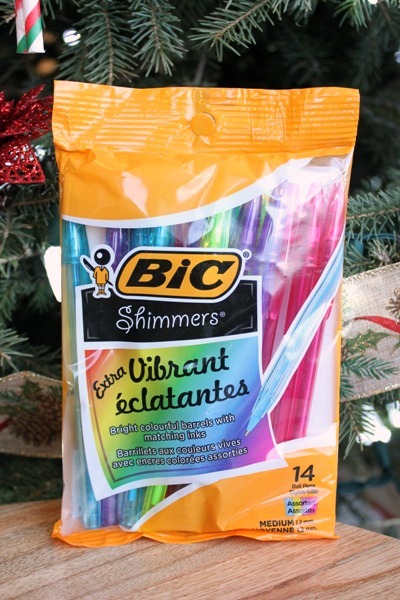 Check out my Gifts for Her Under $50 Gift Guide! And don’t forget to grab my FREE gift to you, my 2017 Holiday Planner Printable Pack to help you stay organized this season. 38 Responses to Merry Christmas Basket of Fun Giveaway! I’ve been reading your blog for years now. I love it! One of my favorite pieces of advice from you is to containerize, and once the container is full, you need to purge. Setting limits really helps reduce clutter. Thanks for this amazing giveaway opportunity! Ahh your comment made me so happy, so glad I could help! Yes limiting containers makes life so much easier for sure! Thanks so much for the fabulous giveaway! I hope I’m the winner. I love everything is your Christmas basket! Great job on your selections. This is such a busy time of year and the chance to win something that is just for me is very fun. So fun!! Thanks for doing this! Great gift ideas- thank you! Thank you! Everything looks amazing. I would love to win this basket. Thanks for offering it! Love your organizing tips! Fun! The basket if goodies is amazing! Awesome collection of gifts! Thank you for the raffle!!! 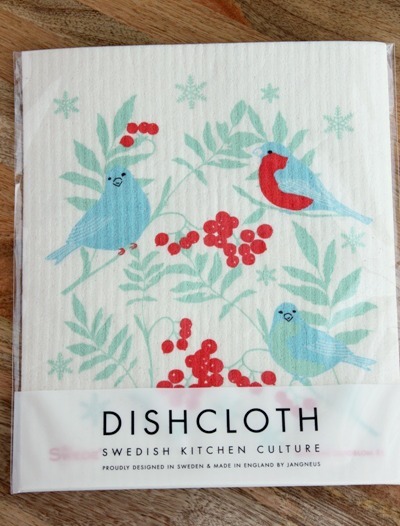 Re: the cute swedish dishcloth: Idk if Mighty Nest has the exact same pattern, but they carry swedish dishcloths in similar patterns that are very cute. This is a very helpful blog. What a wonderful time of year…enjoy. Love your blog and 2018 is my year to get organized! Actually looking forward to it! So thoughtful of you to gift to your readers. Thank you Carol! Merry Christmas! Wow! Great items! Who wouldn’t like that? Love your hints and helps. Thank you for doing this. Merry Christmas! Your blog helps me so much. I love your blog. It is so kind of you to gift one of your readers with that wonderful basket of goodies. Ahh so nice to hear Kim, thank you! Hi Sandi, I think you have to go to an Aveda salon to get the Aveda line of products. It works really well and makes my hair so soft and manageable. It doesn’t feel wirey at all. Thanks for stopping by! I rarely sign up for give aways- but this one looks amazing! It was a hard decision for me but I’m glad I made it. So much less up keep! I’m so happy you like the giveaway, yay!! You always say something helpful to me in your postings! And you don’t have grey hair … it’s silver highlights. Thanks Corinne, that is sweet to say! What an awesomely amazing selection of super products..brilliantly beautifully, perfectly practical right down to the gloves! Love them all! Ahhh so glad you like everything! !